The valley of d'Algaiarens is one of the natural reserves of particular charm. In this enchanting basin, surrounded by a thick coniferous forest, we can find two golden and red sandy beaches d'es Tancats and Es Bot. These beaches are completely natural and offer crystal clear sea water. 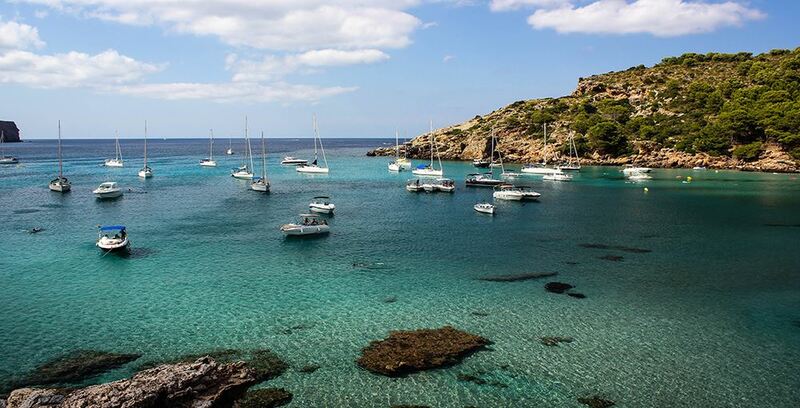 The pictorial Cala Fontenelles lurks beyond the outlet of d'Enmig and becomes a good retreat for yachts.